Remember when college was intended to turn out “well-rounded” people? The first two years are usually general studies required of everyone. There is a good reason for that. No matter how brilliant you are at what you do (your blog, your business, your passions), if you don’t manage the rest of your life it will come undone. My regular readers may realize that GrowMap is not tightly focused for this reason. We need balance in our lives – and basics like what is in this post are essential to success. If you’re an average American, you probably spend most or all of your paycheck each month and don’t have much left over for emergencies or savings. This means that if something big comes up, you’re strapped for cash and have to go into debt to cover it. It also means that retiring early and enjoying extra time with your family is a pipe dream for you. However, you can change this and gain the security that comes with having money left over just by taking a few important steps. Spending without realizing it is a huge problem for most people. If you don’t know where your money goes each month, it’s time to start tracking what you spend. that aggregates the information for you. Once you know what happens to your money, you might be surprised how much is used for frivolous and unnecessary things, and you can begin to change those expensive habits by making the conscious decision to avoid them. 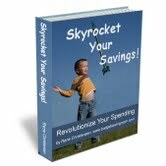 You can make a budget for those items and give yourself an allowance, so you aren’t feeling completely deprived, but the amount you spend on it is greatly decreased. It’s much easier to make the decision to bring lunch with you if you’re aware of how much you spend eating out, and going out once every week or two will suddenly seem like an exciting treat rather than the norm. When you start looking at your expenses, you’ll probably notice how much you spend simply to keep your lifestyle afloat. Your mortgage or rent, car loans, storage unit cost, and whatever else is eating up your paycheck automatically is often within your control, but it’s hard to let it go. If you move into a slightly smaller place and get rid of or sell the excess stuff you have sitting around, you’ll quickly find yourself with more money and space, and you’ll feel less stressed from clutter. less stuff taking up space in your life. If your friends go out to eat at fancy restaurants every Friday, leaving you to either awkwardly get a side salad or to stay home, maybe it’s time to avoid that situation and propose a cheaper option. If they’re your friends and want to spend time with you, then they’ll be understanding, and endeavoring to make it cheaper could also lead to some fun adventures. When someone wants to go hang out at the mall or see a movie, suggest alternate plans that won’t cost anything, but instead allow you to spend quality time together. Telling people you can’t afford to spend extra cash may seem awkward or embarrassing, but it’s not. Nearly everyone knows what it’s like to not have much money at one time or another. Your new choices may even help the people around you start making better choices with their money as well. Look up free days at your local museums. spend money to enjoy – you just need to find them. The biggest part of becoming frugal is to find contentment. You don’t need to keep up with the Joneses; you don’t always need the newest and best. In fact, life’s pretty amazing regardless of whether or not you’ve spent a hundred dollars on shoes this week. can be a much greater pleasure than a noisy restaurant. Find happiness in what you have and even less than that, because life’s about spending time with those that are important to you. Wasting money often gets in the way of that. Frugality isn’t about making yourself miserable and depriving yourself of all the fun in life; it’s about enjoying the small things and being happy with less. Chances are, you already have far more than enough as it is. And the freedom and happiness that comes with knowing you’re prepared for anything that comes your way. Lindsey Grant writes for financial blogs. 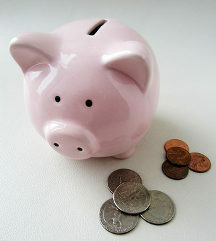 If you’re interested in finding more tips on saving money, check out the article on this site. Great post. avoiding expensive situations with friends and family is a great point. I’ve had to pass on many occasions. I try to live simply and save aggressively. I enjoy the simple pleasures of hanging out with friends, home cooked food and keeping healthy and active especially walking and playing pickleball (which is socially fun and also pretty inexpensive to play-compared to other “old-people/retirement sports like golf).